I have several reviews to catch up with courtesy of my holiday reading but I've chosen to do this one first because this is a book that just might have changed my life. I first discovered The Solitaire Mystery by Jostein Gaarder in my high school library when I was about 14. It is a deeply philosophical novel that I realised I didn't fully understand. I enjoyed it, but I knew there was more that I couldn't see. I firmly resolved to read it again when I was older. This was a resolution I promptly forgot until I was in a second hand bookshop in Darwin last September. I came across this and decided it was definitely time to see if I could comprehend the book better - my first reading was now half a lifetime ago. A couple days later I was in Alice Springs walking around in a daze as I compared the messages of The Solitaire Mystery to the place my life had got to - it pointed out to me that in many ways I'd settled for something that was comfortable and easy and had just accepted the place I'd landed in rather than striving onward as I'd promised myself years ago when I chose to change careers. Where I found myself in work and home life wasn't what I'd wanted, exactly, but in my mind I was conscious I'd decided that it was good enough. 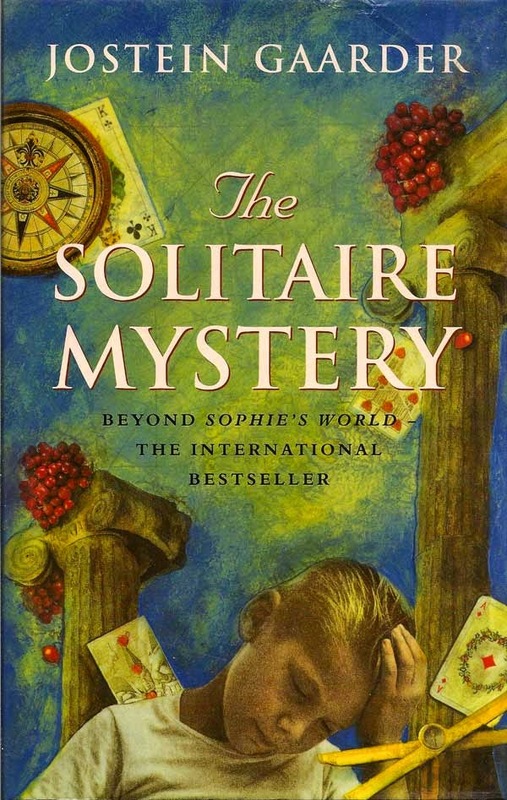 That reading of The Solitaire Mystery might just have been the wake up call I needed. Ten months later my life is in a very different place. A lot has changed and I realised earlier in the year that I'd achieved enough of my long-term goals that I needed to go looking for more - I can't give The Solitaire Mystery credit for all of it but I think it helped get me moving again. I though I should read it a third time while I was away in Brisbane and see what revelations it might have for me this time. I enjoyed it again but it didn't have the impact it did last time. Maybe the twists in the plot were too fresh in my mind, maybe I was happier with the image in the mirror this book presented me with. It was still time well spent. I would absolutely recommend this book, it's somewhat quirky and different with a strong surreal element but the philosophy is wonderful and the themes are really intriguing. Maybe the ideas and concepts might give you one of those fantastic revelatory moments that a good book can bring. It's well worth finding out.